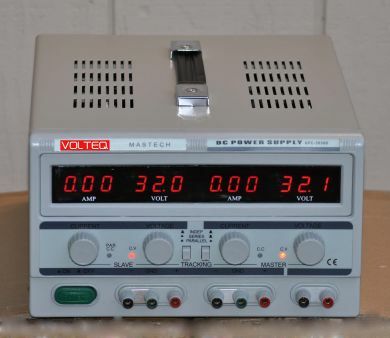 VOLTEQ GPC-3030D is a triple output variable regulated power supply. 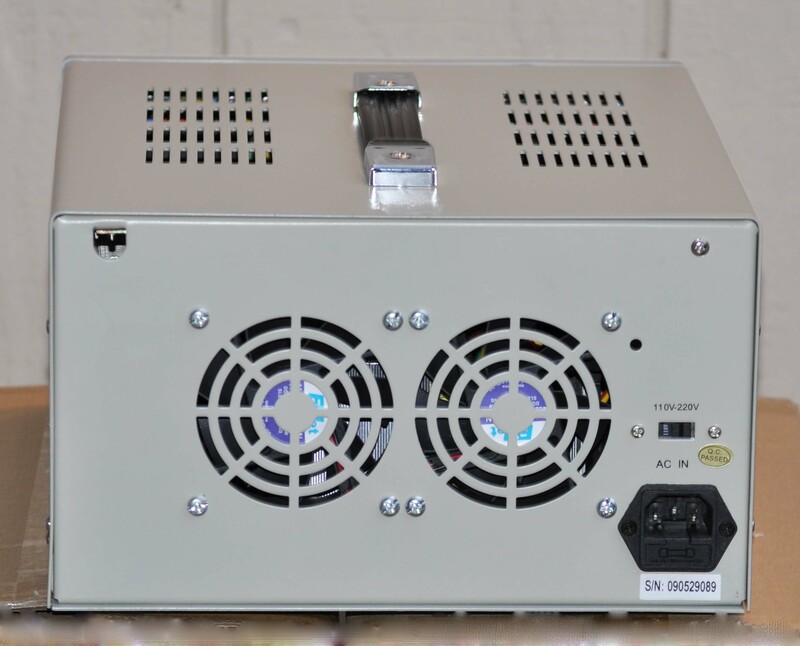 This linear power supply has three outputs: two outputs are continuously adjustable at 0-30V DC and 0-3A, and the third output is fixed at 5V DC and 3A. What's more, the two outputs can be used either in independent, series or parallel mode, providing either two independent outputs, or one output with twice the voltage or twice the current output, up to 60V or 6A. The unit comes with 4 bright LED displays, providing accurate readout for the voltage and current value for both outputs. The voltage knobs have 10-turn pots, so it's real easy to control the outputs. Comes with two connectors for series or parallel mode. Size: 14.2" x 10.4" x 6.5"